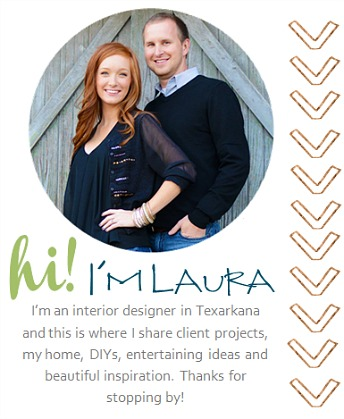 Laura Orr Interiors: My Fireplace is in YOUR Hands! My Fireplace is in YOUR Hands! I am completely stumped when it comes to what to do with our fireplace in our home remodel. 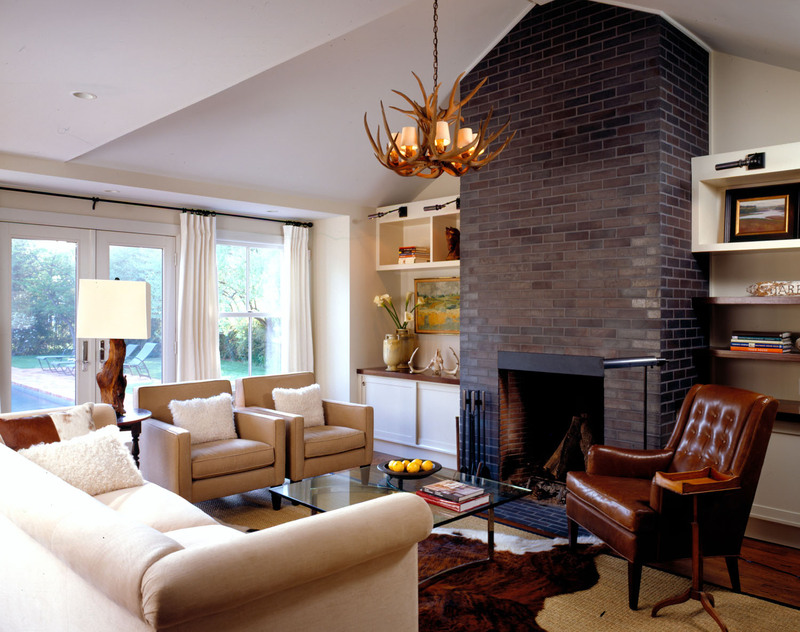 The plan, regardless of color, is to paint (or stain) both the brick fireplace and the built-ins on either side. But my dilemma is what color? 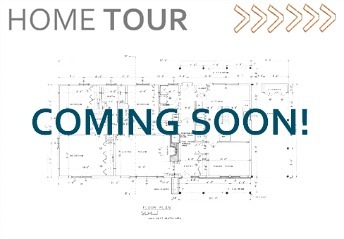 The plan is for the walls and trim to be white throughout the kitchen, living and hallway. We will have light pine wood floors and also replace the existing mantel with a more modern, rustic slab mantel (similar to this). 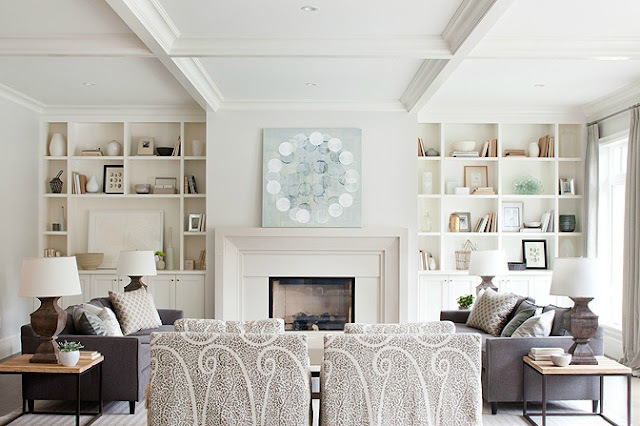 For option 1, we could continue with the light and airy look with a white fireplace and white built-ins. But would the fireplace be enough of a focal point or would it simply fade away? For option 2, I thought about going with a bold, charcoal gray on the fireplace with white built-ins. I love the contrast but would it be a little too much? Do I switch that color scheme around and do a white fireplace with gray built-ins? Or maybe meet in the middle with a medium shade of gray with white built-ins? Friends, I need your help. As you can see, I have no idea which direction to go! My fireplace is in your hands - which option would you choose? Comment below with Option 1, Option 2, Option 3, or Option 4. Or if you have any other ideas, I'm all ears!! Thanks for your help! Labels: Fireplace, First Home to Forever Home, Living Room, Paint, What Would You Do? 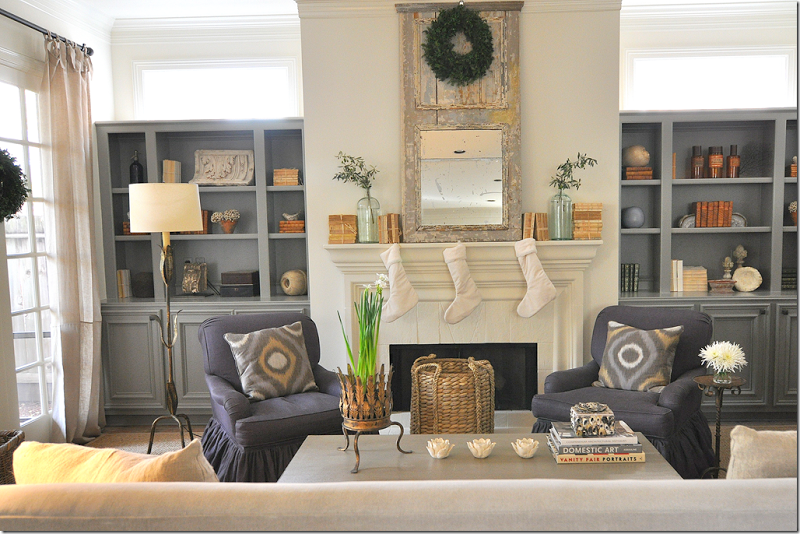 My personal favorite picture is the Gray Built ins and the light colored fireplace! I like option 2 with the darker charcoal fireplace. Beautiful! I love the main fireplace the darker charcoal. The built ins white. And the walls and backs of the built ins the mid-tone. 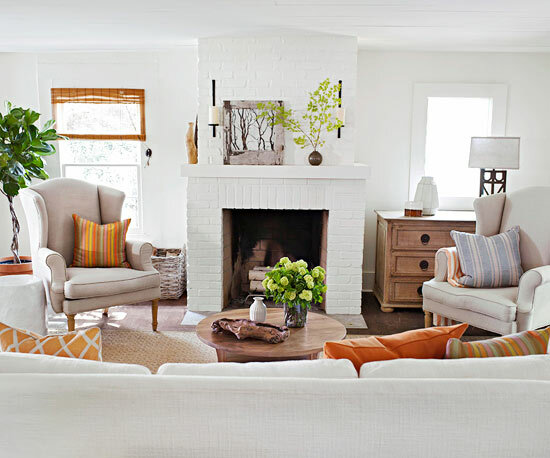 I agree with Rene...darker fireplace is a plus too if you actually use your fireplace...keeping it starch white all the time could be a pain. 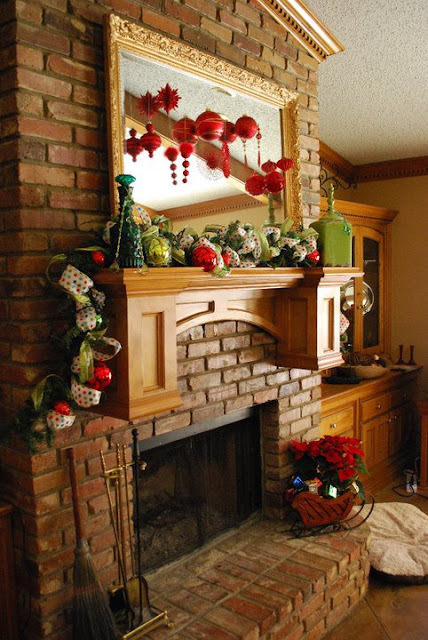 You have a beautiful tall fireplace, make it a feature! :) I like the hearth too! I'm sure whatever you do will be beautiful though! How about walls, trim, and cabinets in the white. And the brick in the charcoal. I love trim same color as walls! If you actually intend to keep USING the fireplace, I'd go with grey. Soot, smoke, all that stuff....you don't want to have to clean that off of white (ask me how I know, ugh). If you're worried about the contrast, just make sure to use a lighish grey. I think it'll be a nice focal point.